Old George Yard, Cloth Market, down back lane in heart of the Bigg Market. Monday - Thursday 11pm - 11pm, Friday & Saturday 11am - 2am, Sunday 12pm - 11pm. A good selection of craft beers and ciders, gins, bottled drinks and red & white wines available. Craft beers and Ciders include - Brooklyn Lager, Anchor Steam, Meantime Chocolate Porter, Goose Island Honkers, Brewdog Vagabond Pale Ale, The Bears Spirit Ale, Sierra Nevada Pale Ale, Blue Moon. Erdinger Heffe Weisbier and Urban Orchard Cider. Food served Monday - Friday 12pm - 8pm, Saturday 12pm - 7pm, Sunday 12pm - 6pm. Meals on offer include small plates £4.00 (any 3 for £9.00 or 5 for £14.00), sharers £6.50 - £11.75, pizzas £8.25 - £10.25, burgers £8.50 - £10.25 (upgrade chips to sweet potato fries 50p), salads £8.50, sandwiches £5.50 - £6.25 (add chips or fries £1.50, sweet potato fries £2.00), sticky wings 25 for £10.75, 50 for £16.50 or 100 for £31.00, best of the rest £8.00 - £10.25, sides £2.25 - £2.75. Desserts £1.00 - £3.50 (The Sundae Pint £4.25). Hot Drinks £1.75 - £3.25. Kids menu - Pick 'n' mix & pudding £4.00, main & pudding £4.00. Monday - Friday all day 2 meals only £9.50. Lunch and a soft drink £6.00. Busy most days of the week. Orders taken at the bar. Sunday Roast served every Sunday. Special Deals: 2 meals for £9.50 Monday - Friday. Sunday Craft Club - from 5pm - any 2 craft bottles for £5.00. Burger Tuesdays - any 2 for 1 offer on all burgers. Sticky Wings Wednesday - 10 chicken wings for £3.00. Thursday - 2 for 1 pizzas. Live Sports: All major sporting events are shown with BT and Sky football matches, Rugby, Cricket and Horse Racing featured. You can book a table for an event if required. Music: Live music in bar with no cover charge. DJ a regular feature during the week. Open Mic night Thursday and Sunday from 7pm. 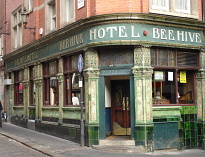 A large historical pub that is reputed to be one of the oldest pubs in Newcastle, dating back to the 16th century (1582). 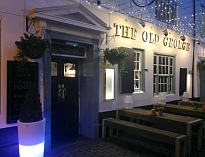 It was formerly a coaching inn and retains its original low ceiling and wooden beams. The pub is split on three levels with a smart lounge and dining area upstairs with comfortable seating. The main part of the pub has a long narrow bar with another smaller bar to the side. It also has plenty of seating with tables and chairs, and a large open fire near the main entrance. The lower level has a small bar with wooden tables and chairs and wooden panelling on the walls. Free function room upstairs for parties. Very lively at weekends with a DJ a regular feature, quieter during the week. All major sporting events are shown with BT football matches and Horse Racing featured. 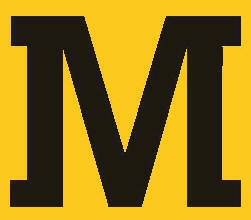 Is used by a mixed clientele of diners, shoppers and people on nights out in the Bigg Market. Live music in bar with no cover charge. Open Mic night on Thursday and Sunday. Seating area outside which is used in the summer. Disabled access to main bar good but difficult to toilets as upstairs. Toilets are small and reasonable. Historical pub in the Bigg Market --- One of the oldest drinking places dating from the 16th century (1582) with royal connections. King Charles 1st is reputed to have drank here. The Charles 1st room and chair in which he sat still exists.